I completed the mold, though had a very rough time this round due to my own avoidable mistakes on the mold process, I do have working pulls towards a finished product. It requires some patching each round, not ideal but I have learned a lot on this mask effort for the next project. I started my first pull with a front half only, to see what we are dealing with post major mold issues. I poly foam filled it, it may become my paint scheme master, or fun wall mount thing at the least. Arrrgh! Should be fun to paint up! great work!, can't wait to take this class. Is it difficult for a beginner? 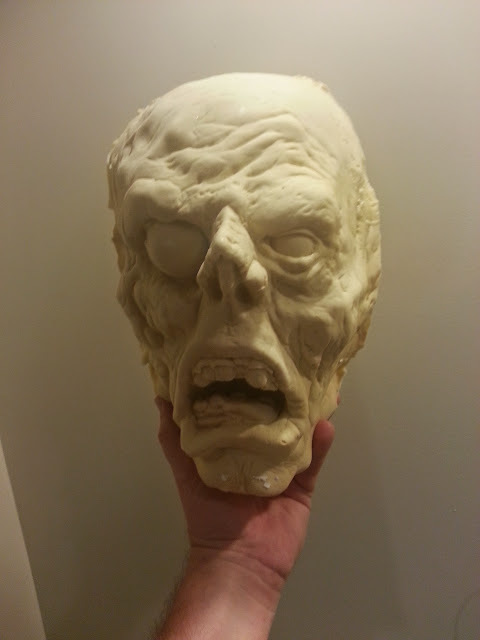 I will post up the final painted up soon, made 3 full mask pulls, working on version 2 paint up tonight. Thanks Carolyn, I would highly recommend this course! When SWSCA posts the final edited DVD of Tim's instruction, certainly check it out! 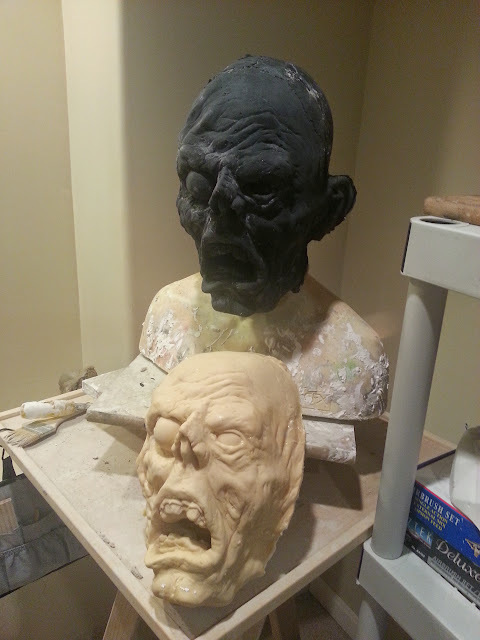 I think designing and making masks is a ton of fun, and with its requirements of design, sculpting, mold making and painting as part of the process its teaches so many absolute core fundamentals of FX work. I learn so much on each mask or attempt. Congrats man, can't wait to see some painted pics!!! 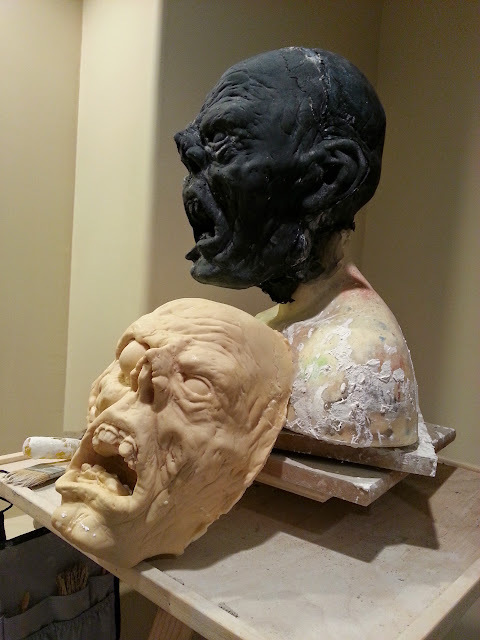 I think your sculpt is great, you know now what you need to improve your molds, practice makes perfect man. Lets see the finished thing!